Hands down the COOLEST thing I have ever posted here at Art of Baseball! Robert Greene has been a hero of mine for some time. I started reading Roberts’ books while in college, starting with the 5oth Law and following it up with the 48 Laws of Power. Throughout that time I’ve grown to perceive his books as the “go to” resource for inspiration, motivation, and practical advice in today’s competitive yet sometimes predictive society! If you’re series about finding out what steps you need to take to MASTER your game of baseball by understanding the power of mentorship, training, practical experience through the power of story telling, LISTEN to this interview then grab your copy of MASTERY. How to develop intuition and make better decisions. You know the deal! 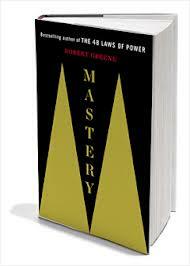 Tell me your biggest take away from the interview in the comment box below and win a FREE copy of his new book MASTERY! Previous post: Art of Baseball w/ Steve Kamb from Nerd Fitness!